April 15, is the due date for federal tax returns in U.S “we wanted to take a look back at the last few months and tell the story of this year’s tax season through Google search. Spoiler alert — As the filing deadline has approached over last few days & weeks, we’ve seen a flurry of search interest about taxes & tax related topics. Compared to search volume from final week of the 2009 tax season, we’ve seen significant increases in searches for terms like [file taxes] and [tax filing extension]. 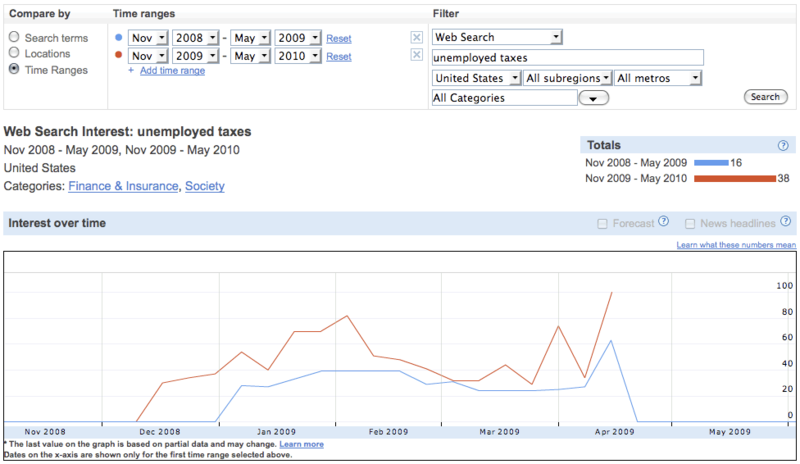 As of late last week, searches for [file taxes] had increased by 16% from last year. 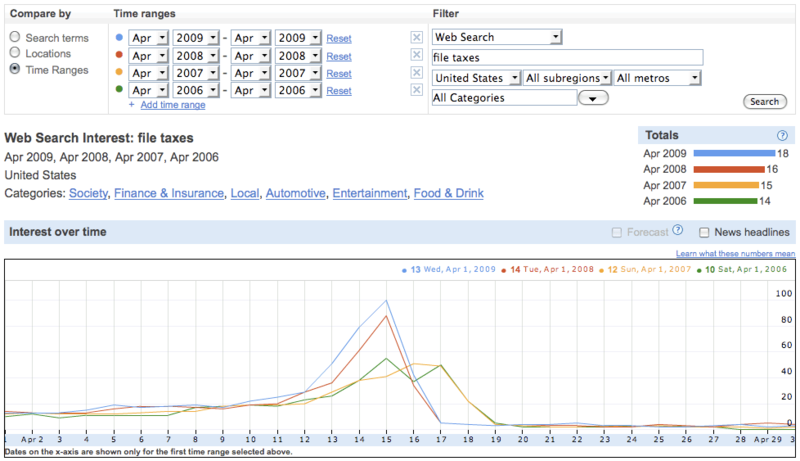 This spike in search interest leading up to April 15 prolongs a pattern of search trends that we’ve seen for the last several years; from 2006 to 2009, searches for [file taxes] rose an average of more than 51% between April 8 and April 15,” notes Google.